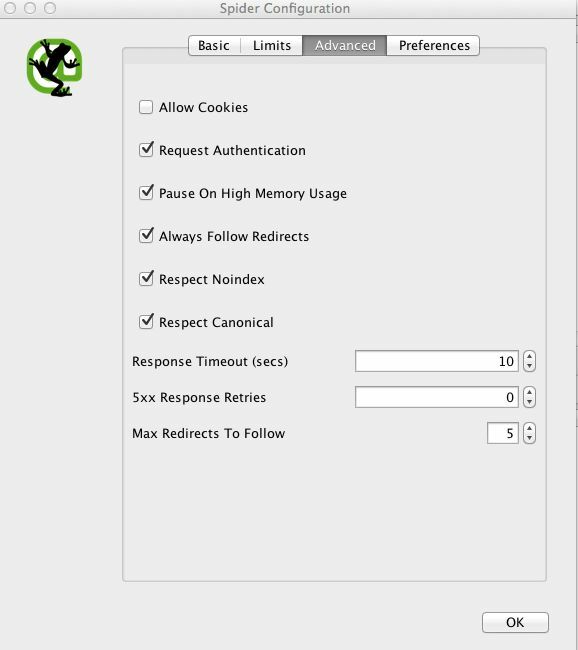 This is Inflow’s process for doing content audits. It may not be the “best” way to do them every time, but we’ve managed to keep it fairly agile in terms of how you choose to analyze, interpret and make recommendations on the data. The fundamental parts of the process remain about the same across numerous types of websites no matter what their business goals are: Collect all of the content URLs on the site and fetch the data you need about each URL. 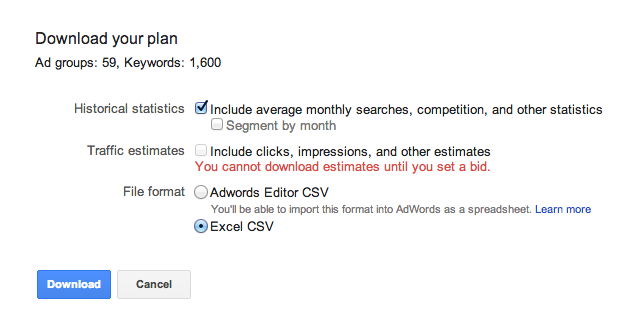 Then analyze the data and provide recommendations for each content URL. Theoretically it’s simple. In practice, however, it can be a daunting exercise if you don’t have a plan or process in place. By the end of this post we hope you’ll have a good start on both. Phases Design Studio, who graciously permitted us to share their case study. After taking an inventory of all content URLs on the domain, Rick outlined a plan to noindex/follow and remove from their sitemap many of the older blog posts that were no longer relevant, and weren’t candidates for a content refresh. The site also had a series of campaign-based landing pages dating back from 2006. 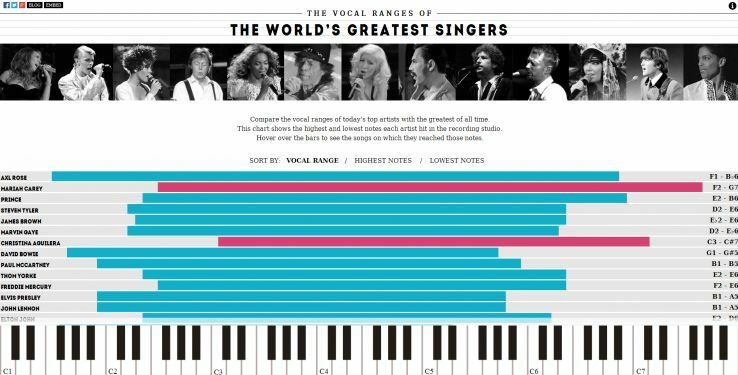 These pages typically had a life cycle of a few months, but were never removed from the site or Google’s index. Rick recommended that these pages be 301 redirected to a few evergreen landing pages that would be updated whenever a new campaign was launched—a tactic that works particularly well on seasonal pages for eCommerce sites (e.g. 2014 New Years Resolution Deals). Still more pages were candidates to be updated / refreshed, or improved in other ways. the framework can be changed as needed in a way that could dramatically affect where you spend your time in the process, or even which steps you may want to skip altogether. 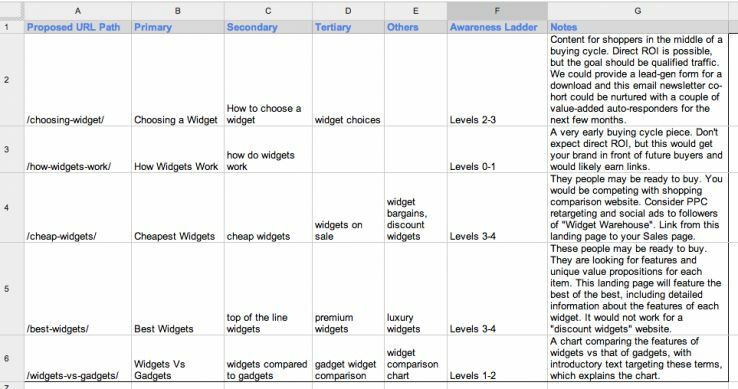 Keyword Planner. The average ranking position comes from GWT, as does the top ranking page. The relevancy score is something we typically ask the client to do once we’ve cleaned out most of the obvious junk keywords. WP Curve), and have someone get started on most or all of the implementation. Our mantra for low-quality, under-performing content on sites that may have a Panda-related traffic drop is to improve it or remove it. 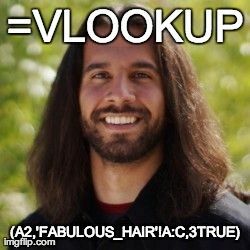 If you don’t know how to do a Vlookup there are plenty of online tutorials for Excel and GoogleDocs Spreadsheets. 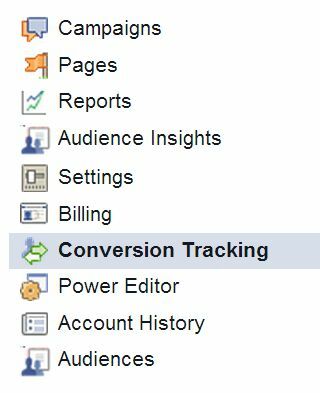 Screaming Frog and Google Analytics. 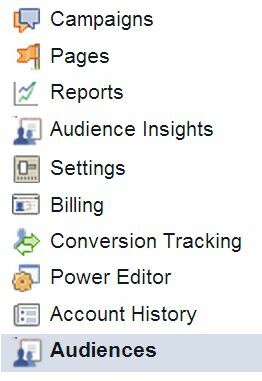 For data we use Google Webmaster Tools (GWT), Google Analytics (GA), Social Count (SC), Copyscape (CS), Moz, CMS exports, and a few other data sources as needed. 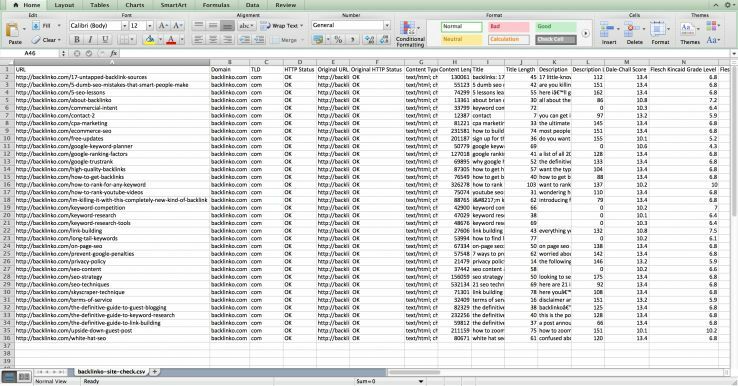 URL Profiler instead of our internal tool to pull all of these data-sources together much faster. 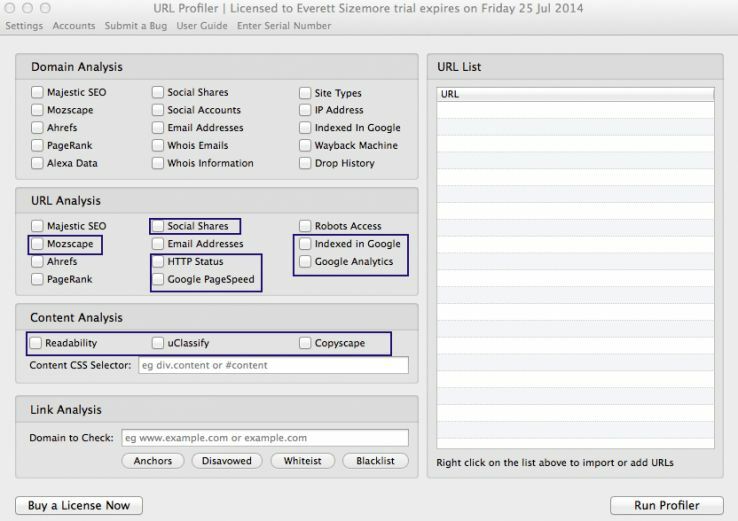 URL Profiler is a few hundred bucks and is very powerful. It’s also somewhat of a pain to set up the first time, so be prepared for several hours of wrangling down API keys before getting all of the data you need. a medium-sized eCommerce client with about 800-900 pages indexed by Google, including category, product, blog posts and other pages. They don’t have an existing penalty that we know of, but could certainly be at risk of being affected by Panda due to some thin, overlapping, duplicate, outdated and irrelevant content on the site. Ian Lurie’s Marketing Stack for design inspiration. Improve it or Remove it. The size of the site determines which of those two (improve or remove) gets the most attention. 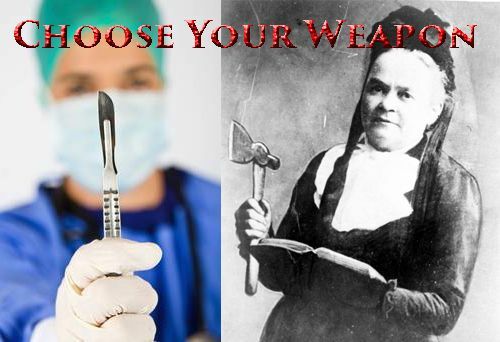 Smaller sites need less pruning (scalpel), while larger sites need much more (hatchet). Smaller sites often need some keyword research to determine if they are covering all of the topic areas for various stages in the customer’s buying cycle, while larger sites typically have the opposite problem —> too many pages covering overlapping topic areas with low-quality (thin, duplicate, irrelevant, outdated, poorly written, automated…) content. Such a site would not require the keyword research, and would therefore not be getting a keyword matrix or content gap analysis, as the focus would be primarily about pruning the site. 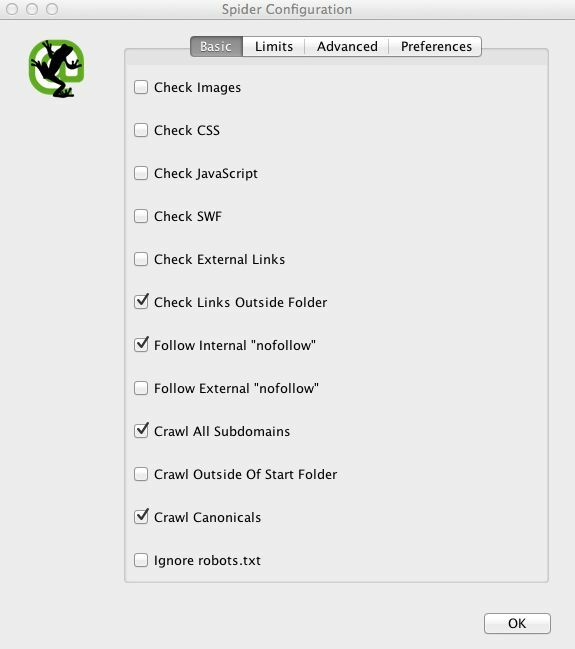 not crawling images, CSS, JS, flash, external links…. This type of stuff is what we look at in a Technical SEO Audit, but would needlessly complicate a “Content” Audit. What we’re looking for here are all of the indexable HTML pages that might lead a visitor to the site from the SERPs, though it may certainly lead to the discovery of technical issues. As described in the 50,000 foot overview above, we have a spreadsheet template with multiple tabs, one of which is the “Content Audit” tab. The tool output gets brought into the Content Audit tab of the dashboard. 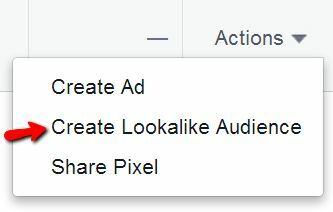 Our internal tool automatically ads columns for Action, Strategy, Page Type and Source (of the URL). You can also add these to the tab after importing the URL Profiler output. Page Type and URL Source are optional, but Action and Strategy are key elements of the process. 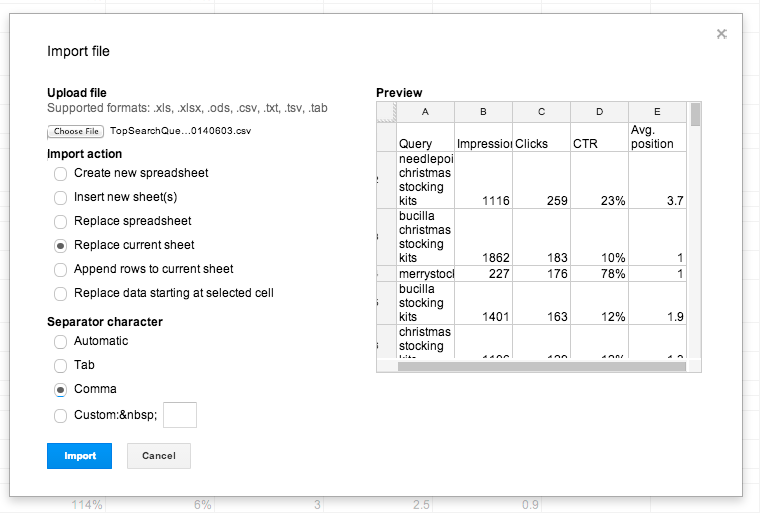 This action should expand all of the drop-downs to show the keywords under each “page” URL and then open up a dialog window that will ask you to save a CSV file: (more info here and here). 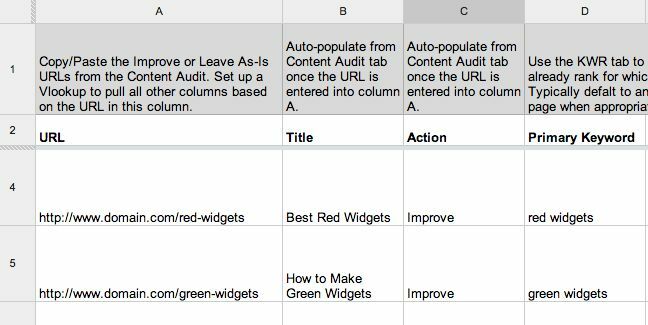 Content Audit Scenarios tool. From here on the actual step-by-step process becomes much more open to interpretation and your own experience / intuition. Therefore, do not consider this a linear set of instructions meant to be carried out one after another. You may do some of them and not others. You may do them a little differently. That is all fine as long as you are working toward the goal of determining what to do, if anything, for each piece of content on the website. examples of hatchet approaches and when to consider using them. Convert!. You can learn more about it here. big changes to its search results. Google authorship photos, reduced video snippets, changes to local packs and in-depth articles, and more. Here at Moz, we’ve closely monitored our own URLs to measure the effect of these changes on our actual traffic. Search results soon became crowded with smiling faces staring back at us. Authors hired professional photographers. Publishers worked to correctly follow Google’s guidelines to set up authorship for thousands of authors. The race for more clicks was on. Google cleared the page. No more author photos. To gauge the effect on traffic, we examined eight weeks’ worth of data from Google Analytics and Webmaster Tools, before and after the change. We then examined our top 15 authorship URLs (where author photos were known to show consistently) compared to non-authorship URLs. authorship URLs performed as well as non-authorship URLs in terms of traffic. Even though Moz was highly optimized for authors, traffic didn’t significantly change. On an individual level, things looked much different. We actually observed big changes in traffic with authorship URLs increasing or decreasing in traffic by as much as 45%. There is no clear pattern: Some went up, some went down—exactly like any URL would over an extended time. Authorship photos don’t exist in a vacuum; each photo on the page competed for attention with all the other photos on the page. Each search result is as unique as a fingerprint. What worked for one result didn’t work for another. 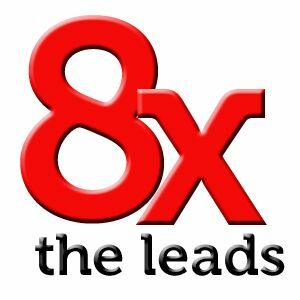 results closer to the top earn more clicks. In the absence of author photos, it’s likely click-through rate expectations have once again become more standardized. MozCast reported a sharp decline in video thumbnails. 100% of their video results. Other sites appeared to be “white-listed” as reported by former Mozzer Casey Henry at Wistia. Aside from these “giants,” most webmasters, even very large publishers at the top of the industry, saw their video snippets vanish in search results. Whiteboard Friday videos, which we produce every, well, Friday. To our surprise, most URLs actually saw more traffic. 10% jump in organic traffic after losing video snippets. We witnessed a significant increase in traffic after losing video snippets. How did this happen? Did Google change the way they rank and show video pages? impressions at the exact same time. According to Google, impressions for the majority of our video URLs shot up dramatically around July 14th. Impressions for Whiteboard Friday URLs also rose 20% during this time. For Moz, most of the video URLs saw many more impressions, but for others, it appears rankings dropped. other publishers saw the opposite effect. Wistia, reports seeing rankings drop for many video URLs that had thin or little content. Marshall Simmonds, founder of Define Media Group, who monitors traffic to millions of daily video pageviews for large publishers. most of the sites they monitor lost video snippets, they observed no visible change in either traffic or pageviews across hundreds of millions of visits. 2014 Mid-Year Digital Traffic Report which sheds fascinating light on current web traffic trends. 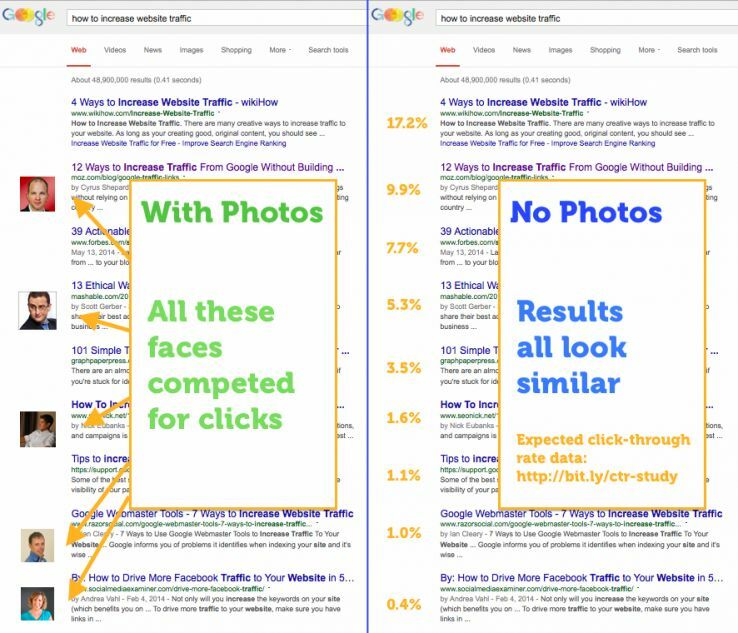 While we have anecdotal evidence of ranking and impression changes for video URLs on individual sites, on the grand scale across all Google search results these differences aren’t visible. For the past several years web marketers competed for image and video snippets, and it’s with a sense of sadness that they’ve been taken away. 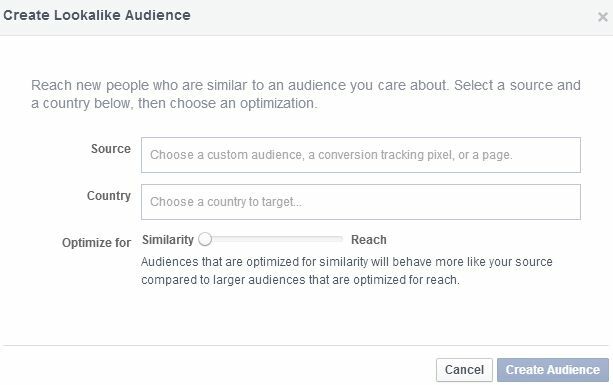 The smart strategy follows the data, which suggest that more traditional click-through rate optimization techniques and strategies could now be more effective. This means strong titles, meta descriptions, rich snippets (those that remain), brand building and traditional ranking signals. What happened to your site when Google removed author photos and video snippets? Let us know in the comments below. buying text links. Being the lone SEO at Yahoo! in the US at the time, training, teaching, guiding and policing all of the people involved in over a dozen Yahoo! Media websites, my heart stopped when I saw this post. The thing is, though, I knew the biz dev team at Yahoo! had absolutely no concept of link exchanges for SEO (that said, I have no idea about Great Schools – those were some nice anchor text links). Access to complimentary content that Yahoo! didn’t have on the site (like the partnership between Yahoo! Real Estate and Great Schools in that example). Exchanging content or links in hopes of getting more visibility and traffic, like the links to partners Heavy and Bleacher Report at the bottom of Mandatory.com’s site. Syndicating content to other sites for more visibility, like Eventbrite’s events syndicated out to distribution partners, or receiving syndicated content in order to provide more content to the visitors, like mom.me’s content from SheKnows or StyleList. Note that it’s very important, whether you’re an SEO working with biz devs or you’re a biz dev working on partnerships, that the things mentioned below are thoroughly considered before writing and signing a contract with a partner, since some of these things will need to be spelled out in the contract, and oftentimes negotiated. Don’t link: If you don’t need to link to the competitive content on the partner site, don’t do it. Add Nofollow: Adding a nofollow tag on the link (in the code) tells search engines that you may not trust what is on the other end of that link, so you’re not officially “voting” for it. Not linking to/voting for the partner content can potentially help in preventing it from outranking yours. This may need to be negotiated, since it’s possible both parties will want links without a nofollow on it. Require a link: Require that the article links back to the original on your site. This can be text link “[Article Title] originally appeared on yoursite.com”, with the article title being the hyperlink back to the original article. Make sure the link goes to the original article URL on your site, and not to the home page. No nofollow tags on links from the partner site to yours: This may need to be negotiated (for the same reasons as we’re saying to add nofollows on links from your site to partner sites above). Nofollow tags typically don’t pass value to the destination page. No 302 redirects on links: When Google encounters a 302 redirect it keeps the original page in the index and doesn’t pass PageRank onto the destination URL (since a 302 redirect is technically a temporary redirect). 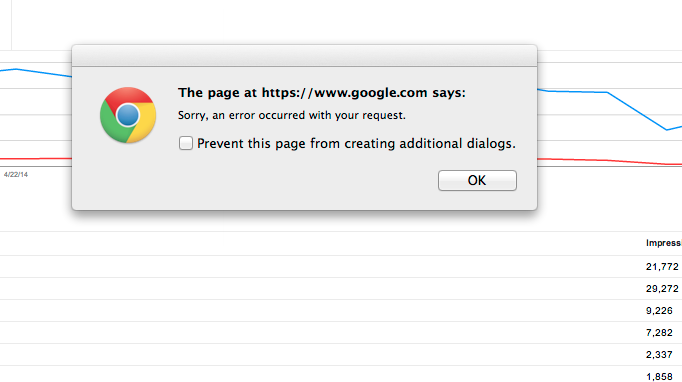 Do not allow partners to send the link through a 302 redirect to your site. 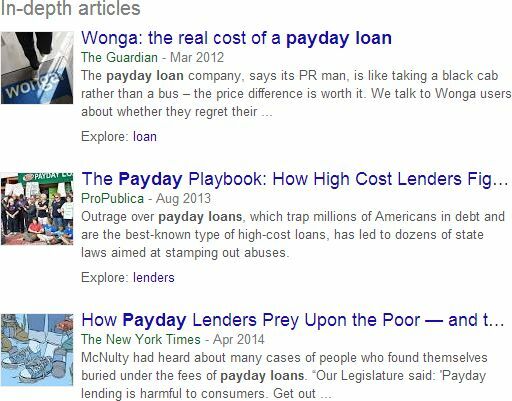 Keywords in links: When possible, try to have partners link to your page(s) using relevant anchor text. The anchor text of a link provides context for search engines and can help a page rank for that text. For example, if a partner is linking to your article about The Best Geeky Books of 2011, make sure they use the title of the article The Best Geeky Books of 2011 (or something similar and relevant) as the link text rather than something vague like click here or visit our partner (that’s not what you want to rank for). Check canonical tags: Check the canonical tag in the head section of the code on the articles you’ve syndicated to partners. Make sure that canonical points to the article on your site. Otherwise there should ideally be no canonical tag. Specify linking and redirect rules: Specify rules for what domains should and should not be linking and redirecting to your site. A partner may want to redirect some old domains as part of a package of sites in their network that can send traffic to your site, but this might actually hurt your site’s performance in Google. Rankings and traffic should be tested any time a new domain is redirected to the site. 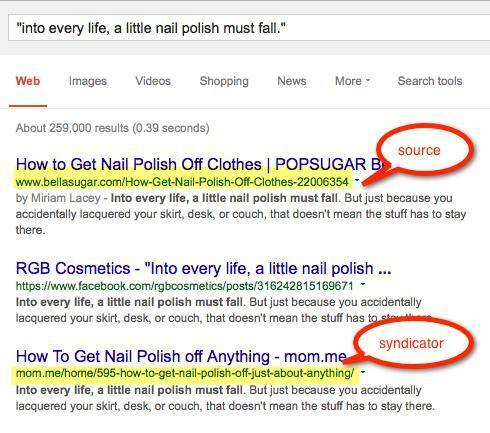 No parameters: If possible, do not add parameters onto links in content you’re syndicating out. Search engines see parameters as a different URL. If you must use parameters, make sure the correct treatment of parameters is specified in Webmaster Tools. No link stripping: Make sure the partners are not stripping/removing links that are in your content once it’s on their site. Publish first: Publish the content you’ll be syndicating on your own site before allowing partners to publish it. This can help identify your site as the source (and also generate more links from other sites and social networks). Editors: Editors can link straight to the end destination in blog posts and articles (whoever they’re linking to has earned it). No special linking rules to follow. No nofollows: Do not add the nofollow tag to links in content you’re syndicating out (if you control the HTML). See the single blue link and half-snippet on the bottom-left? That’s the only thing about this above-the-fold page that most SEOs in 2014 would call “organic”. Of course, it’s easy to find fringe cases, but the deeper I dig into the feature landscape that surrounds and fundamentally alters SERPs, the more I find that the exceptions are inching gradually closer to the rule. Monday, July 28th was my 44th birthday, and I think Google must have decided to celebrate by giving me extra work (hooray for job security?). In the month between June 28th and July 28th, there were four major shake-ups to the SERPs, all of them happening beyond traditional, organic results. This post is a recap of our data on each of those shake-ups. authorship shake-ups in the past, but the largest recent drop had measured around 15%. It was clear that Google was rethinking the prevalence of author photos and their impact on perceived quality, but most of us assumed this would be a process of small tweaks. Given Google’s push toward Google+ and its inherent tie-in with authorship, not a single SEO I know had predicted a complete loss of authorship photos. 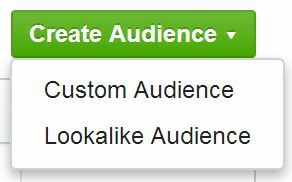 While some authorship photos still appeared in personalized results, the profile photos completely disappeared from general results, after previously being present on about 21% of the SERPs that MozCast tracks. It’s important to note that the concept of authorship remains, and author bylines are still being shown (we track that at about 24%, as of this writing), but the overall visual impact was dramatic for many SERPs. The motivation for this change is unclear, and it comes even as Google continues to test designs with pared down in-depth results (almost all of their tests seem to take up less space than the current design). Doubling this feature hardly indicates a lack of confidence, though, and many competitive terms are now showing in-depth results. As you can see, the presence of thumbnails does vary day-to-day, but the two plateaus, before and after June 16th, are clear here. At this point, the new number seems to be holding. Since our data doesn’t connect the video thumbnails to specific results, it’s tough to say if this change indicates a removal of thumbnails or a drop in rankings for video results overall. Considering how smaller drops in authorship signaled a much larger change down the road, I think this shift deserves more attention. It could be that Google is generally questioning the value and prevalence of rich snippets, especially when quality concerns come into play. I originally hypothesized that this might not be a true loss, but could be a sign that some video snippets were switching to the new “mega-video” format (or video answer box, if you prefer). This does not appear to be the case, as the larger video format is still fairly uncommon, and the numbers don’t match up. Mega-videos are appearing on such seemingly generic queries as “partition”, “headlights”, and “california king bed”. 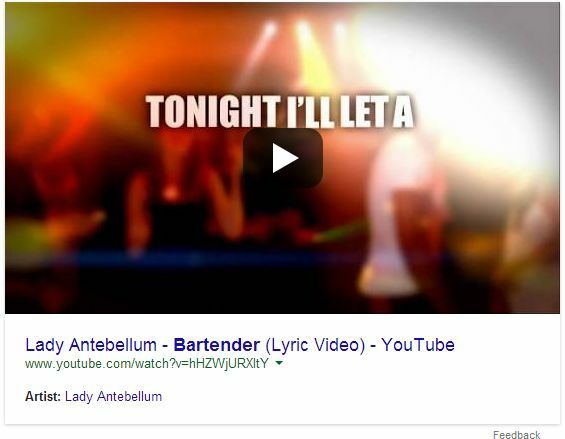 If you have the budget and really want to dominate the SERPs, try writing a pop song. We initially reported that pack results dropped more than 60% after the Pigeon update. We now are convinced that this was a mistake (indicated by the “?” zone) – essentially, Pigeon changed localization so much that it broke the method we were using. We’ve found a new method that seems to match manually setting your location, and the numbers for July 29-30 are, to the best of my knowledge, accurate. Darren Shaw of WhiteSpark found, using a completely different data set and methodology. The perfect match between those two numbers is probably a bit of luck, but they suggest that we’re at least on the right track. While I over-reported the initial drop, and I apologize for any confusion that may have caused, the corrected reality still shows a substantial change in pack results. A couple of important notes – first, some searches that lost packs only lost packs in certain regions. Second, Pigeon is a very recent update and may still be rolling out or being tweaked. This is only the state of the data as we know it today. Tony Verre), and a search for “Buffalo Wild Wings” sends you to Buffalo, NY (h/t Andrew Mitschke). Of course, local search is complex, and it seems like Google is trying to do a lot in one update. The simple fact that a search for “apartments” lost pack results in our data, while “apartments for rent” gained them, shows that the Pigeon update isn’t based on a few simplistic rules. Both before and after Pigeon, there are no 1-packs, and 4-, 5-, and 6-packs are relatively rare. 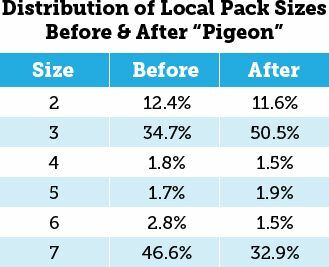 After Pigeon, the distribution of 2-packs is similar, but there is a notable jump in 3-packs and a corresponding decrease in 7-packs. The total number of 3-packs actually increased after the Pigeon update. While our data set (once we restrict it to just searches with pack results) is fairly small, this data does seem to match the observations of local SEOs. Ok, maybe that’s a bit melodramatic. All of the changes do go to show, though, that, if you’re laser-focused on ranking alone, you may be missing a lot. We as SEOs not only need to look beyond our own tunnel vision, we need to start paying more attention to post-ranking data, like CTR and search traffic. SERPs are getting richer and more dynamic, and Google can change the rules overnight.